As computer users, we need different software to meet different needs all the time. Over the years various software companies and a lot of talented developers and programmers have created some awesome programs which are available for download online. It’s not always easy to find the perfect software that we really need and which would get the job done for us. This is where the software download websites come in handy. 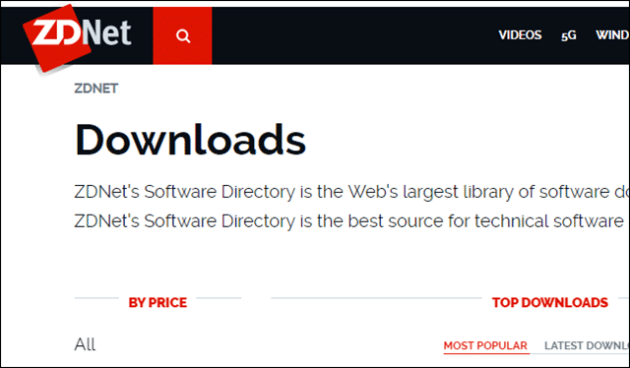 These sites not only host the software on their own servers, so that it’s available for download 24/7 but also categorize them properly so that it’s easy for us to explore and find the software we are looking for. The other important aspect of these software download websites is that they scan all the programs on their sites to make sure they are free of spyware and viruses. Almost all the mentioned sites have an active user community, who review the software and give feedback, so you can make an informed decision before you download and files. Let’s look at a few sites which have made their mark on the internet with their huge collection of software and easy navigation options. Update: When we first published this article, we had listed a few websites which have now been removed due to lack of updates. We have added a few more new options to make sure all sites are working properly in 2019. 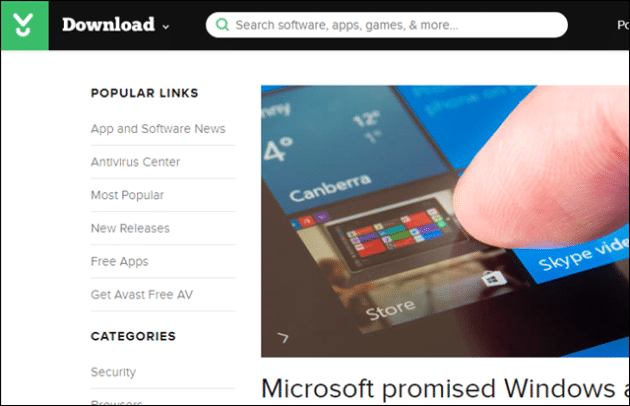 Download.com is the mother of all software download websites. It’s the oldest of its type and was established about 14 years ago. This site is owned by CNet, one of the biggest names in Technology News and Products reviews on the Internet. It has a huge repository of computer software for all platforms like Windows, Mac, and Linux as well as Mobile applications. They also cover web-based applications and services. The Software section includes over 100,000 freeware, shareware, and try-first downloads. Downloads are often rated and reviewed by editors and contain a summary of the file from the software publisher. Registered users may also write reviews and rate the product. FileHippo is one of my favorite freeware download website. It offers freeware as well as shareware. 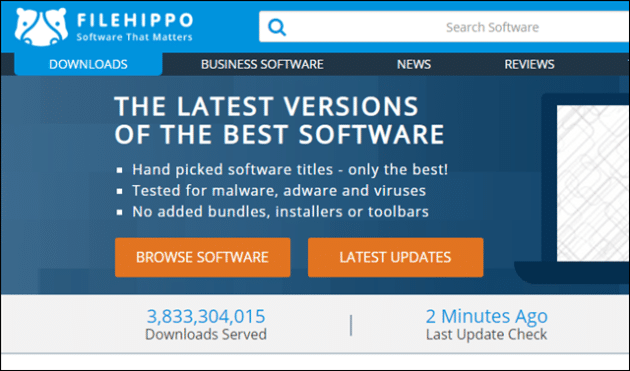 It also offers the FileHippo Update Checker, a small program that scans your computer for installed software from the FileHippo site and suggests available updates for it. Keeping computer software updated is an important step in keeping your computer secure. The FileHippo update checker helps you do that with ease. Over the last few years, they have gone through a number of upgrades and the sites is much better looking and has a better collection of software as compared to when we first listed it here. They list both Freeware and Shareware downloads. 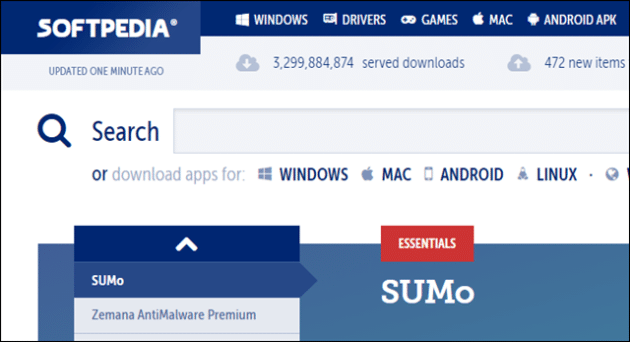 Softpedia is a Romanian website that indexes information and provides downloads for software. The site also indexes major technology, science, health, and entertainment news. Users can sort by criteria such as the date of the last update, the number of downloads, or the rating. There are three viewing modes, normal, freeware, or shareware, which allows users to screen out certain types of software. 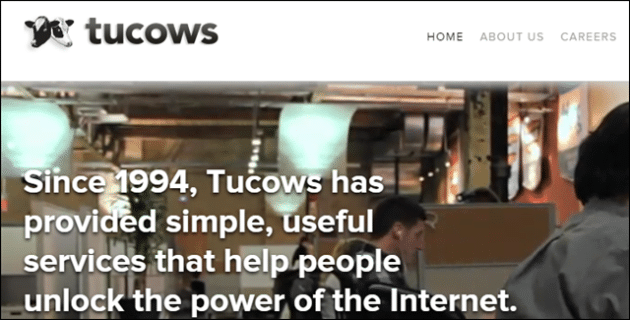 Tucows (originally an acronym for The Ultimate Collection Of Winsock Software, a name which has long since been dropped). 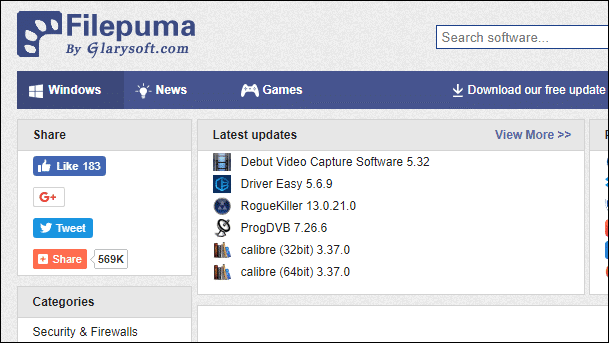 It has a popular website directory of shareware, freeware, and demo software packages available to download. A system of mirror sites is maintained to allow the traffic to the site to be distributed among several worldwide server locations. Tucows has software for many major computer platforms including Windows, Linux and Macintosh, and also older versions of Windows (most notably the Windows 3.x series). They also cover web-based Apps and Services. FreewareFiles, as the name indicates a website dedicated to Freeware software and have a number of Open Sources programs listed. They have over 15800 freeware programs available for download on their website. The programs are arranged in categories and it’s quite easy to navigate and find the ones you are looking for. MajorGeeks is here to help you get the most out of your computer mainly by offering tools to the beginner or advanced user. It was previously known as TweakFiles in 1997, but since have been renamed. This site is run and maintained by 2 friends Jim and Tim, and their excellent sense of humor gives this site a more personal touch. Many of the files found here give you a nice interface and even explain things for you in simple terms. Many do not even make modifications until you apply them. The files provided for download are checked for quality before they are posted. This simply means every program is checked to be sure it basically does what it promises and is spyware and virus free. MajorGeeks has an excellent user community who help new users with computer issues as well as keep a tab on irregularities in software. 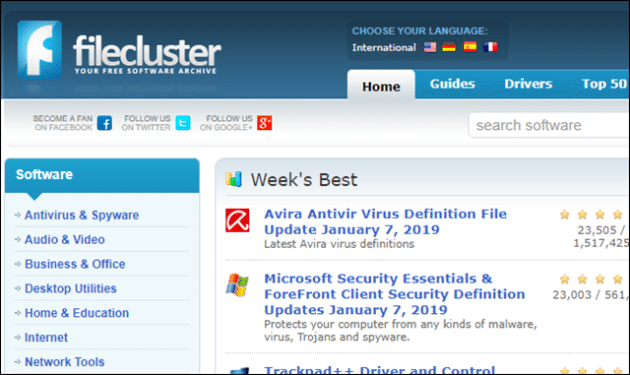 FileCluster is one of the newer download websites. It’s established in 2006 and has since provided visitors with the latest and updated software. The site provides both Freeware and Shareware programs. They also list WordPress Themes and Latest News about Software Companies. Soft32 was established in 2003 and since has updated its software directory regularly. It covers freeware and shareware software for Windows, Mac, and Linux along with Mobile/PDA and has a special iPhone apps section. It has a repository of 87587 programs and features a Windows forum for getting help with Windows OS issues. Softonic was established in 1997 and is Europe’s leading software download site with more than 105,000 freeware, shareware and trial version software titles available with reviews written in Spanish, German, English, French, Italian, Portuguese, Chinese and Polish. The English language portal was launched in November 2005. Softonic International is committed to offering the latest software for all users, on all platforms, with reviews in the world’s most popular languages. One of the cool features of Softonic is a unique software comparison tool that allows you to evaluate multiple programs side-by-side. Freewarehome is a download site dedicated to freeware downloads only. No Shareware programs are listed. It has an old school design with a navigation menu in the left frame and the details in the right frame. The programs are listed in categories and the navigation is easy to understand. Update – It seems this site has been infected by malware after a hacking attempt. We have removed the link to this website until we receive a confirmation that the website is safe to visit. I’d advice you to be cautious while downloading any software from this site. Ninite has a unique approach towards handling software on your computer. Every time you are looking for software for your PC, you don’t need to search for and download a new program individually. 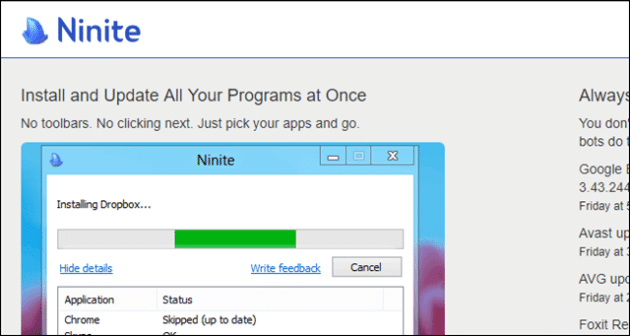 If you use Ninite, it gives you an option to download one or multiple applications in one go. The software listed on Ninite is properly categorized into various sections which makes it easy to look for what you need. For, e.g., if you are looking for a video or audio player, just move to Media section and there you get a bunch of programs options to download. It also helps you keep your software updated as it notifies you if a new version of an application is available. If you don’t find a software that you want, you can also recommend them to add it to their database as Ninite accepts suggestions and adds popular user-requested apps to its list regularly. Download Crew boasts of a cleaner interface when compared to some other software download websites. They have, what we’d call, a no-nonsense approach. At the left side of the page, different categories classify the software in their respective fields from where it gets easy to jump to a particular section and download the one you need. Download Crew is not just limited to Windows related software. It showcases applications for other platforms including Mac, Linux, iPhone, iPad, and Android. Apart from searching for a particular application, you get a chance to discover some new tools by scanning through the “Most Popular Downloads” list. The unique and useful part about Download Crew is that it offers short and sweet review about each program what it does and how it is useful. This makes it easy for a potential user to make a decision about whether they should or shouldn’t use a particular software or app. FileHorse is somewhat a new kid on the block. It does not come with a large collection of software like many other software download websites. Instead, it only displays the best and most popular software available in the market. It takes pride in making sure the software you download is virus-free and safe. They have set up internal checked to make sure that the software you download is free from any sort of malware. 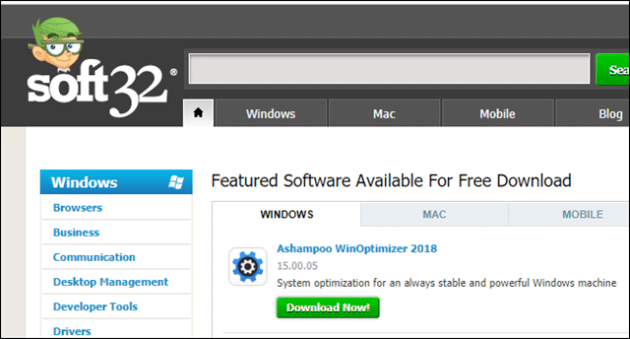 The limited software list, where each of the applications is mentioned under the respective categories, is either freeware or open source, which is always free to download. FileHorse is a great option if you want to replace a popular software with another popular alternative. It helps you find a better replacement for an application if you need it. Easy to navigate and get what you are looking for is the primary goal towards which FilePuma. Its ‘free update detector’ keeps your software up to date so that you are sure you have the most recent version of any software. The listed software is perfectly categorized to help you get through the right application easily no matter whether it is related to Internet & Network, Graphics Design, Desktop, or Business. 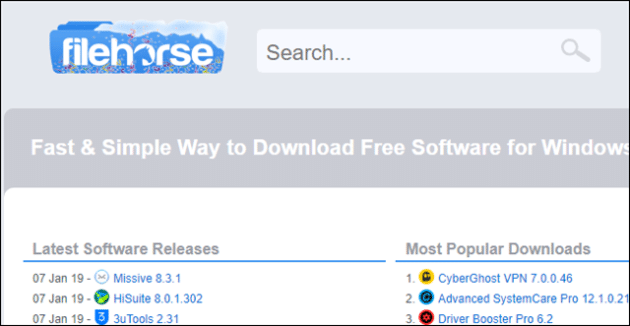 The remarkably popular software download website SourceForge has had a love-hate relationship with its users. People loved it when it was the primary source of getting quality open source software. It was then bought by another company (Dice) and users hated it as Dice formulated the policy to bundle 3rd-party (mostly unwanted) software with the open source programs. Later in 2106, when BizX bought Sourceforge from Dice. 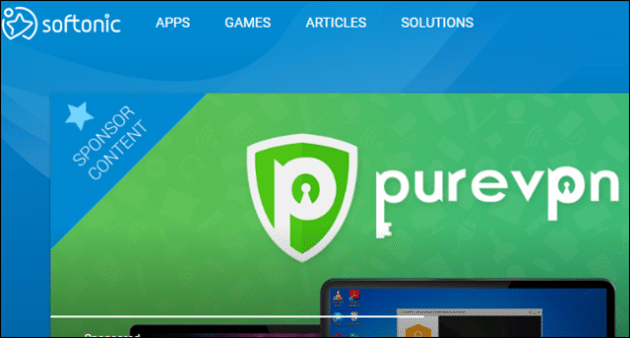 They discontinued the policy to bundling 3rd party apps and unwanted programs, and since then it has again gained the users favor and been the most popular software download website with a huge software library. 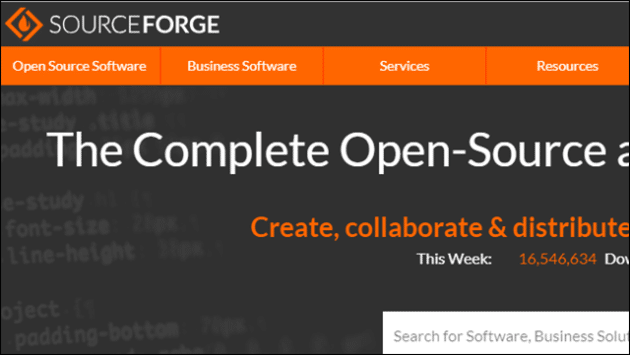 Sourceforge has collaborated and distributed software to over 33 million users as of 2019. Yes, if you are a developer, you can even collaborate with them to help them create an ultimate resource for open source software development and distribution. 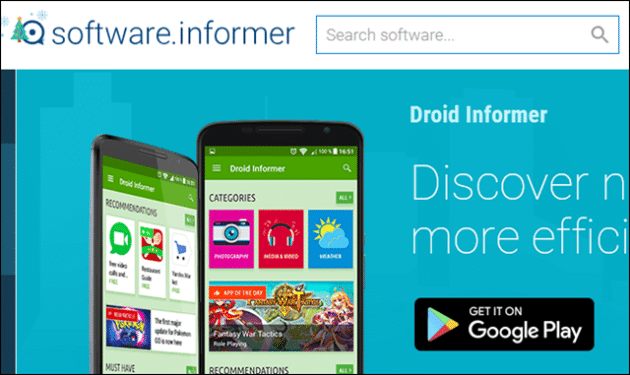 Last but not least, Software Informer is more of a guide that keeps you up to date with all the information about any software you might need. Although limited, it has a decent collection of software to download for free. It has an automatic update function, and it constantly runs in the background so that if any latest update is available, it informs you. You have to be careful while installing a new update since a few updates contain bugs. So it’s best if you do no enabled auto update. Those, who use this software use discretion while opting for a particular update. It’s not a negative, you just have to be careful about any new update and just read up on the proposed changes before clicking that update option. Although not specifically a software download website, it has been long regarded as an excellent guide for those who want to find the right software for their needs. If you are ever left wanting due to the lack of features in any software or would like to stop paying for one – AlternativeTo is your best friend. 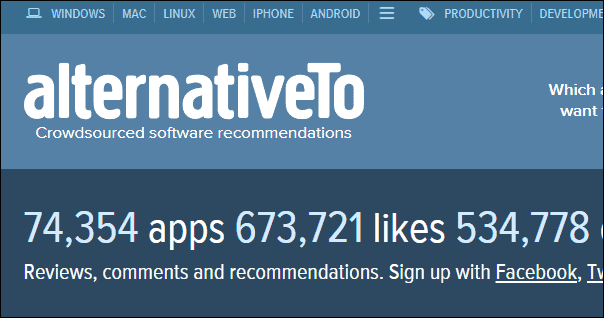 It has an excellent database of software recommendation which provides great alternatives to any app you search for. It is based on both user recommendations as well what the site adds to its database via editorial recommendations and algorithmic finds. The only thing lacking is that they do not host these applications on their servers, instead, they link to the appropriate site to download it. So although it misses out on the tag of a software download website, it gains an honorable mention in our list. We have listed the best software download sites which we use frequently or once in a while. Different people have different tastes, so I’m sure this list would help you find the best site suited to your interests. If we have missed any website, please do let us know in the comments section below. If you like to discover new software, check out our Software category for new and useful software and Security category for the best Security software information.